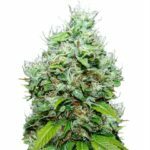 Originally named after the American campaigner for the legalization of Marijuana, Jack Herer Seeds have established themselves as a high quality feminized Marijuana strain. Winner of Cannabis Cup’s and numerous expo’s, Jack Herer seeds are now available to the marijuana growing community. The dominant 80% Sativa genetics quickly generate a euphoric buzz, and lasting stoned feeling. 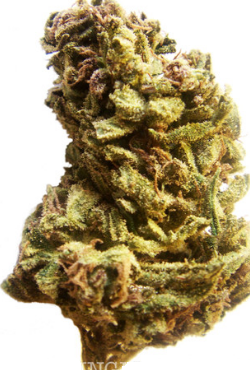 Jack Herer has a high THC content, (20%) and can leave some smokers feeling light-headed and giddy. Whether you are a seasoned, experience grower, or new to marijuana gardening, Jack Herer seeds are easy to grow, forgiving of mistakes and guaranteed to produce some of the highest quality bud available. Grown indoors, Jack Herer Marijuana plants may cause height issues, if so, try super-cropping techniques, topping and bending the main stem to minimize the overall height, which can be up to 180 cm, many growers find the Screen of Green technique works very well with Jack Herer seeds. Resin production is amazing, with crystals even appearing on the larger leaves. The buds from Jack Herer seeds are hard and dense, with only a few flowers, which turn to a deep shade of red as the plant matures. The high is euphoric and ‘haze-like’ with a sweet skunk smell and flavor. If you are looking for a fast-flowering, high quality indoor strain, these Jack Herer seeds are a perfect choice, requiring just 60 days to completely mature. Harvests are good, approximately 450-550 grams per square meter, given good environmental conditions. The marijuana produced from Jack Herer seeds contains high levels of CBD and is a very popular choice for many users. It’s medical benefits have been shown to assist in reducing tension, stress and anxiety, as well as having a positive effect in reducing the symptoms of arthritis and many other ailments. Banish male plants from your indoor garden with these feminized Marijuana seeds. Producing female only plants, these Jack Herer seeds remove the guess-work in sexing your plants. Sold in packs of 3, 5 and 10 seeds, all covered by the I Love Growing Marijuana delivery and germination guarantee. 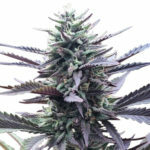 Find Out How To Buy To Buy Jack Herer Seeds.